Anyone who plays a lot of hidden object puzzle adventure games looks forward to seeing something new when they try another game. I'm afraid that you might be disappointed if you are looking for something new in Curse at Twilight - Thief of Souls. 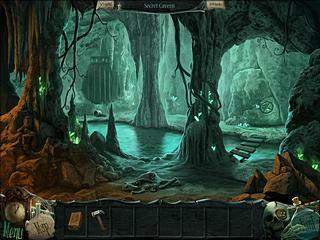 As to the gameplay, it is kind of similar to the story in that it is not always clear what you should do in a particular location. Curse at Twilight - Thief of Souls makes you to play as someone who was invited to a manor for no obvious reason. You decided to go there for the same reason to find out that it was a trap and you are now trapped there together with other souls. The plot is kind of same old thing, and I understand that it's hard to come up with something new when new games of this genre are released almost every day, but there are those who actually want to enjoy the story. Or maybe they mane the plot so vague on purpose to make it more intriguing. 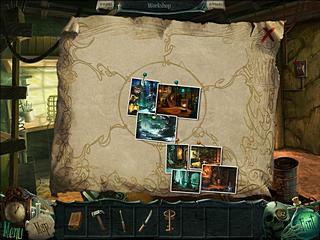 As to the gameplay, it is kind of similar to the story in that it is not always clear what you should do in a particular location or a number of locations where you can stay or leave. This is when hints and maybe even the strategy guide comes in handy. The puzzles and hidden object searches are quite enjoyable though. Some of them are presented in a unique way even though most of them are the usuals. The graphics of Curse at Twilight - Thief of Souls are very decent but the voice overs aren't that good, but it's only if you are one of those who pay attention to things like that. The game isn't the best one out there, but it is still a good one to play if you can't find anything better. This is Curse at Twilight - Thief of Souls review. Download this game here.